I really enjoy trying out new foods. You learn a lot about people just by the way in which they eat their food and by what type of foods are found in their recipes. My first taste of Ethiopian food was in Washington D.C. with my friend Andrea 10 years ago. She’d taken me to a quaint little spot for an early dinner before my train back home. My most fond memory was the cacophony of smells and flavors I’d never experienced before. Since I didn’t know what to order, I left that to Andrea to order us up a really nice meal. She’s told me about how they’d serve it and some of the ingredients that would be on our plate. The communal style of sharing the meal was refreshing. I love to share food!! Just ask my Huzzband! The meal was brought out on a large dish with several entrees served up on this spongy flat bread. As the waitress explained the meal, I tried to picture what each dish reminded me of and wondered if it would taste even remotely close. Nothing was as I expected. Bright flavors, wonderful spices, and vividly colored foods really took my breathe away. As I tore off the injera and tasted each dish, I immediately became a fan of this delectable cuisine. Each bite complementing the other with spicy, flavorful goodness. I knew this wouldn’t be my last taste of Ethiopian fare. 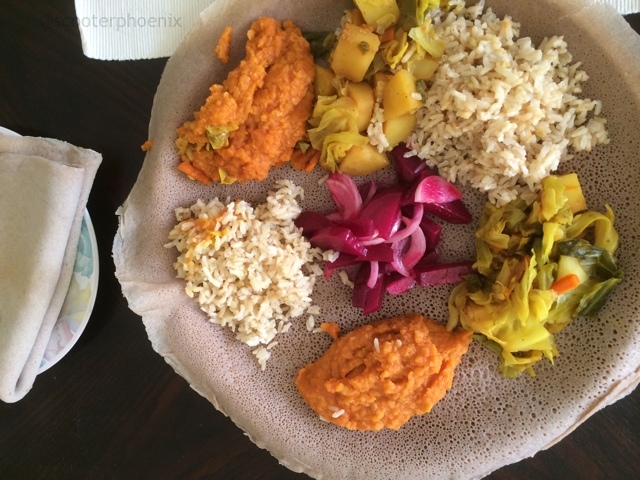 As the years passed, I frequented a few Ethiopian restaurant in my hometown and one day decided to try my hand at some of my favorite dishes. The lentils were my favorite, followed by cabbage and collard greens. I really loved the chicken & beef also, but I stopped eating meat years ago, so I’m not making any of that stuff! There is an international grocery store that carries flavor-packed berbere seasoning and iron-rich injera in West Philly. With a quick trip there and to the market for common veggies, dinner was easy. I’d settled on misir wat (lentils), tikil gomen (cabbage) and beets. added some brown basmati rice (just because) to the meal and we were set. I used these recipes (from the links)as guides to creating my own renditions. I added jalapenos, fresh ginger, fresh garlic, tomato paste, etc to jazz them up a bit. I’m working really hard to stay hydrated. 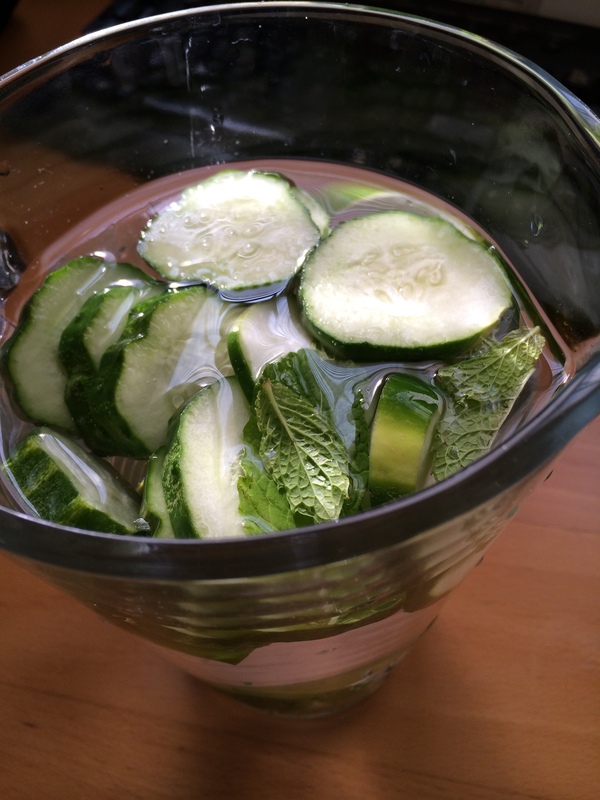 I find that I feel and look better when my body gets the hydration it needs. 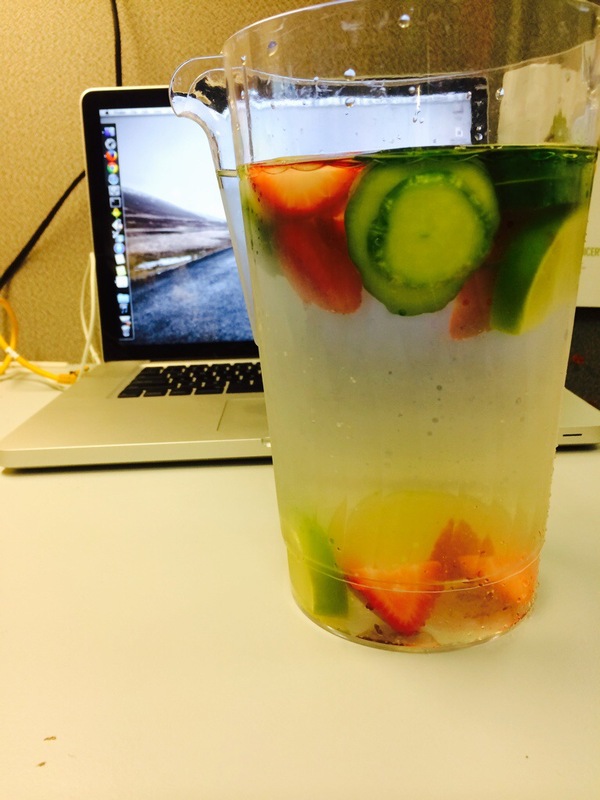 To make this task easier and in my opinion, sexier, I’ve taken to drinking fruit infused water everyday at work. 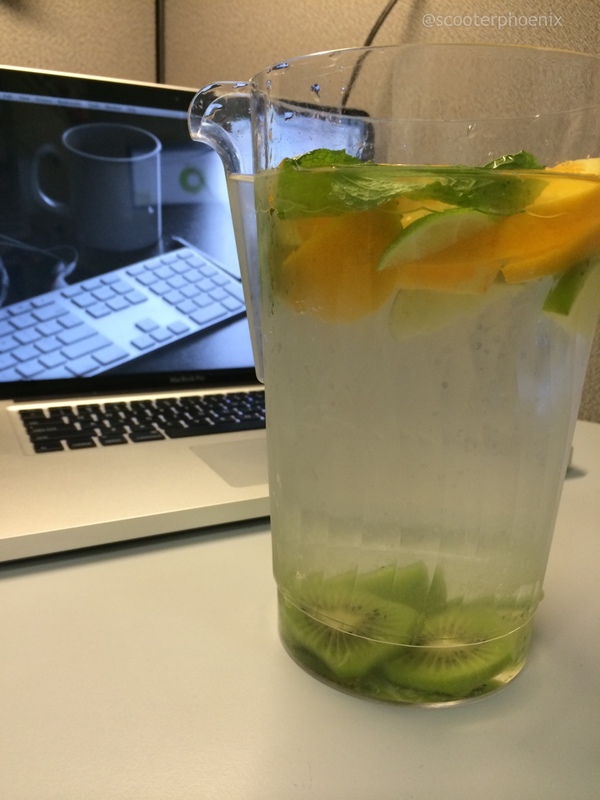 I have a pitcher in my office and as soon as I get in, I cut up some fruit and veggies. 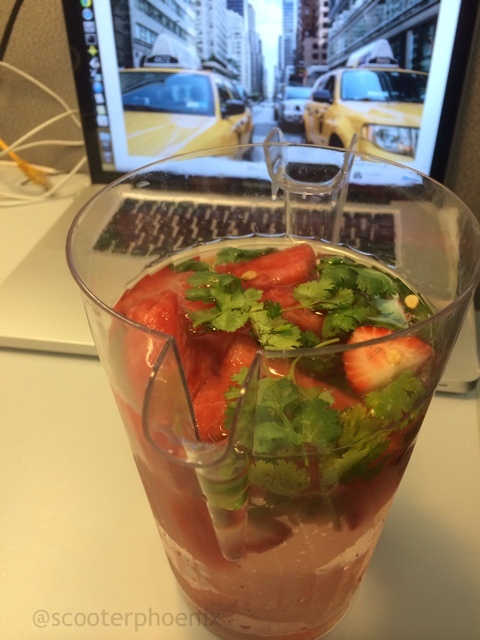 I belong to a farm share so I get plenty off colorful items that can spice up the average glass of H20. Here are a few of my creations last week. You can use just about anything, so be creative. 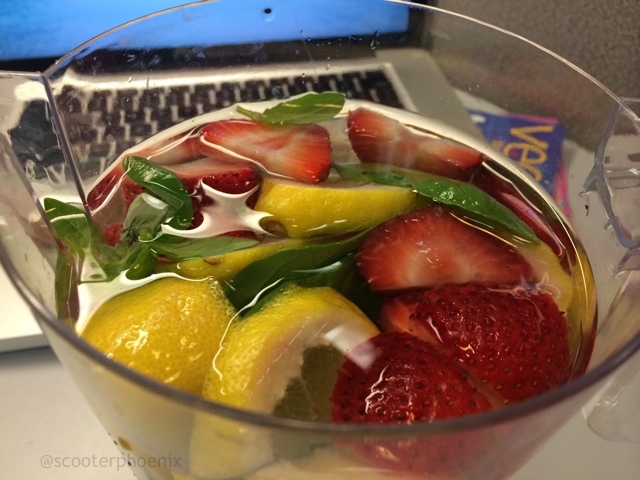 A good way to start is a berry and a citrus. 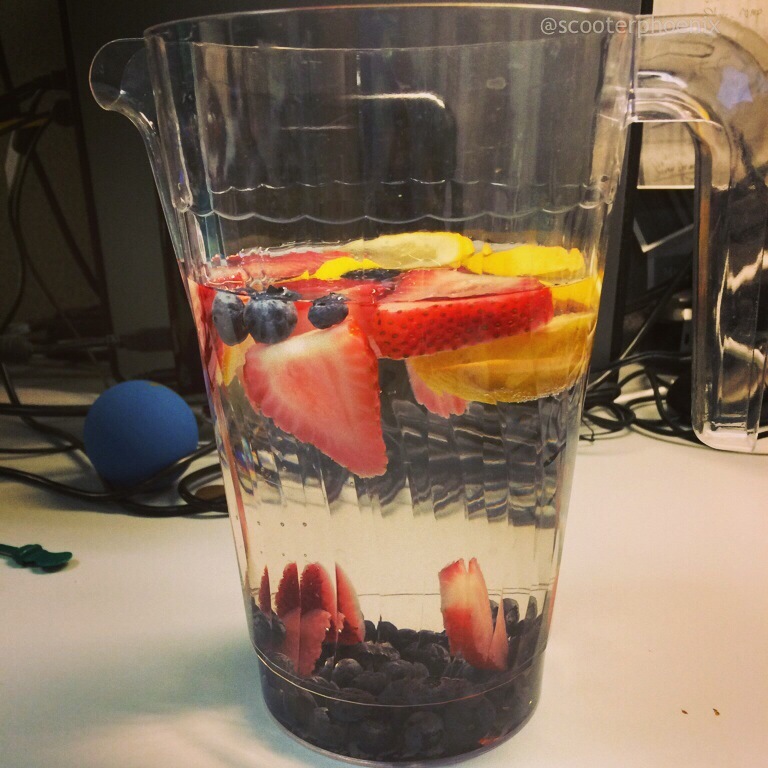 Water is key in proper cell function, removing waste from the body and lubricates those joints. There is plenty of science to support how integral water is to living organisms, just google it if you’re not convinced. 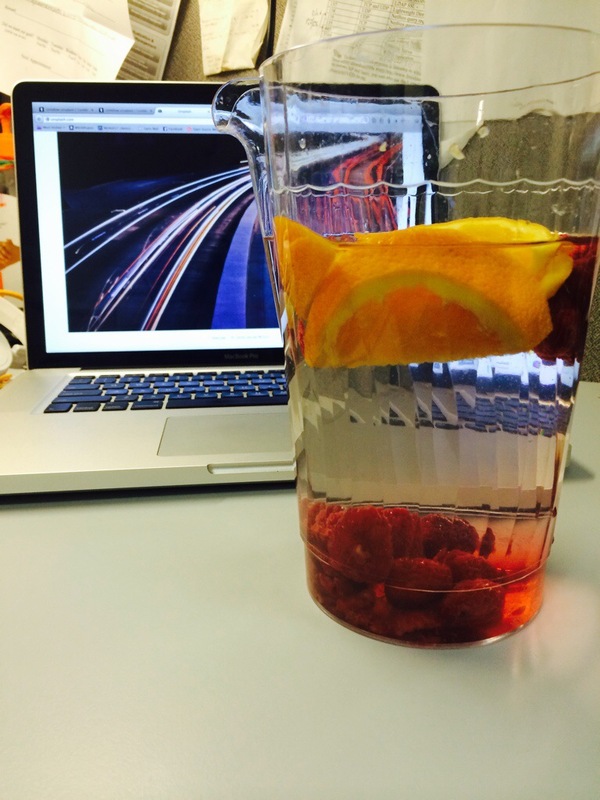 Let me know what’s your favorite fruit infusion. I’d love to try it.